IT's one of my favorite parent-related holidays of the year - Mother's Day!!! I would like to take this opportunity to personally say thank you to my own mom for being such a great mom. 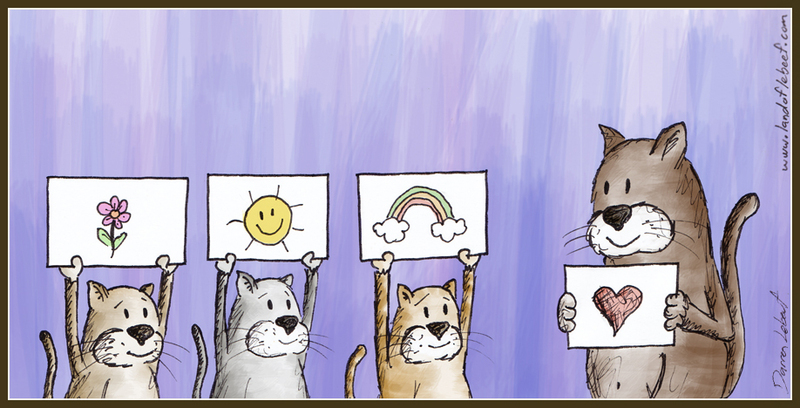 Not only did I draw you a flower, a sun, AND a rainbow, but I drew a picture of all three of these things with adorable kittens holding them.